First of all, the recent aluminum inventory in Nanhai, Guangdong Province has seen a significant decline; the data show that the recent local aluminum inventory has dropped from 235,000 tons to 152,000 tons, and this decline can be considered quite large. As for the reason, the main reason is that the number of aluminum ingots that have arrived has fallen; but it cannot be ruled out that due to the long development time, the economic environment is more active, and the business owners are more conscious of market trends, the market structure is ahead of other regions in the country. Improved. Secondly, the stock market first whip, has rebounded significantly in advance; due to the domestic stock market trend is usually ahead of the changes in the market, so the futures market and even the price of metal has a certain role in guiding the trend. Last Friday, the volume and price of the A-share market rose, the turnover exceeded 100 billion for the first time, and the stock index also rose by more than 4%, basically indicating that it has returned to the strong pattern. 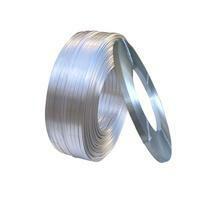 Therefore, the domestic metal market in the future will be led by it and expected to gradually stabilize and rebound. The reasons for the rebound in the stock market are mainly due to the fact that the business conditions of domestic companies have been significantly deteriorated this year. In particular, banks and other companies that are relatively sensitive to economic impacts have to make advances in the stock market to meet the needs of the end of the year. The second round, but also to meet the needs of macroeconomic development, the domestic is currently advocating the expansion of domestic demand, but in fact the conditions to stimulate domestic demand growth is relatively lacking, so pulling the stock market rose, it has become a joy. In the end, it is that *** has faced a tremendous devaluation pressure for a long time, and now this pressure has reached a critical moment when it is about to be released. According to the data, the balance of financial institutions** accounted for at the end of November was 2,578.7 billion yuan***, a net decrease of 73.627 billion yuan compared with the end of October; and this reduction did not actually exceed our expectations. As the saying goes, the internal problems are regulated by the internal parties themselves and they can always be solved. They are just problems of time; but once they are involved in the intervention of external forces, the problems may be magnified indefinitely; Reducing deposits and interest rate cuts. Taking a close look at the policy response in recent years, when the events began in 2007, the domestic stock market ushered in an unprecedented rise, and then the country released large sums of money to carry out infrastructure construction, and released a lot of *** to curb the situation. development of. Today, it seems that re-laxation has become a helpless move; therefore, we expect that the domestic stock market and the metal market will usher in a substantial rebound next year, and aluminum prices are also expected to record an increase of more than 10%.